From wranglin' to buildin', these gloves are tough for the job! Cowhide is the most commonly used leather due to availability. Characteristics include a good balance between abrasion resistance, dexterity, durability and comfort. 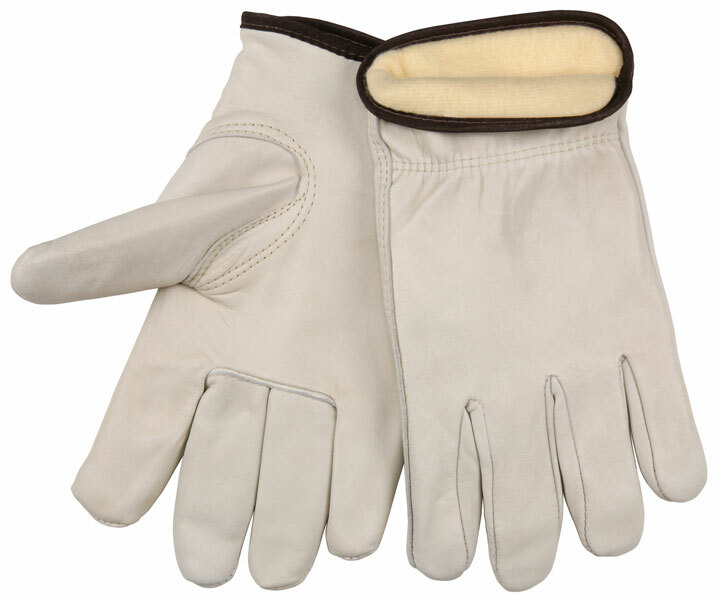 The 3266 drivers gloves feature; Thermosock® Lined CV Grade Grain Cow, Keystone Thumb lined industry grade cow grain leather, shirred elastic back, cotton hemmed, and a keystone thumb pattern.